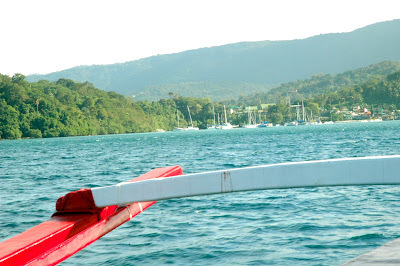 I have only been to Puerto Galera (in Mindoro) twice, this trip being the second. The first time I went was more for jetski training for our Boracay marathon rather than a vacation. We stayed two nights in a hotel on White Beach and I swore never to return. 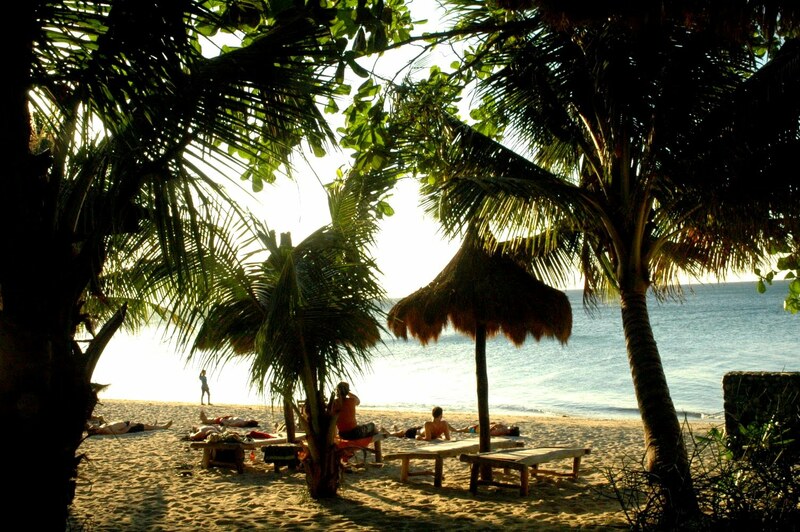 White Beach resembles more of a marketplace rather than a paradise for relaxation. When I heard that the Malasimbo Music Festival was going to be held in Puerto Galera, I contacted my "local" friend and surfed the internet for alternative accomodations. There was no way in hell I was spending another night on White Beach again! Then I discovered Aninuan Beach which is on the other side of the island...perfect! 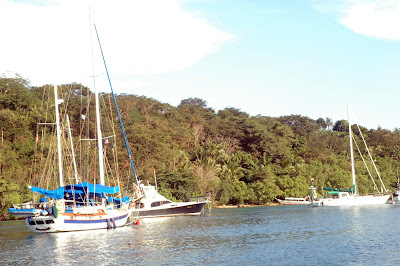 After an hour long boat ride, we finally arrived on the shore of Tamaraw Beach Resort. We had our own private little cottage right on the beach! Aaaah, time for some relaxation...now this is what I call paradise! White sands, warm rays of the sun on my face, the sound of the waves, sand between my toes, and a cold glass of mango shake in my hands...Finally, some peace and quiet. 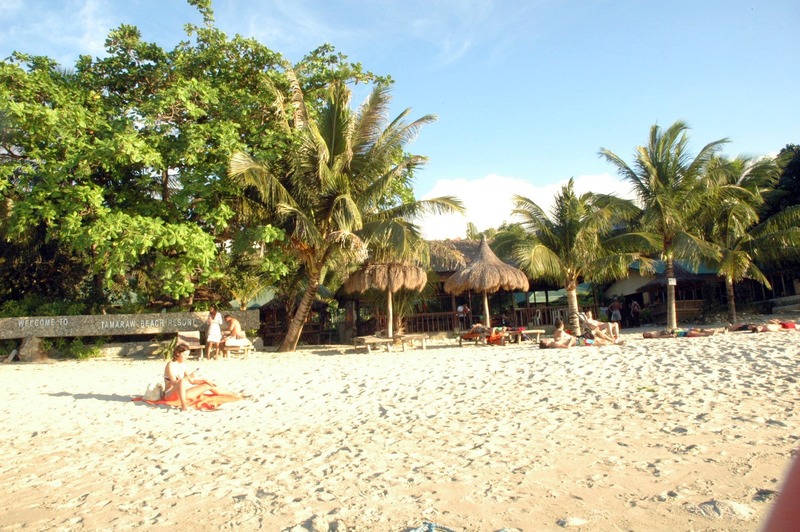 Unlike the bustling metropolis that is now White Beach, Aninuan is a quiet little haven with a tiny population. 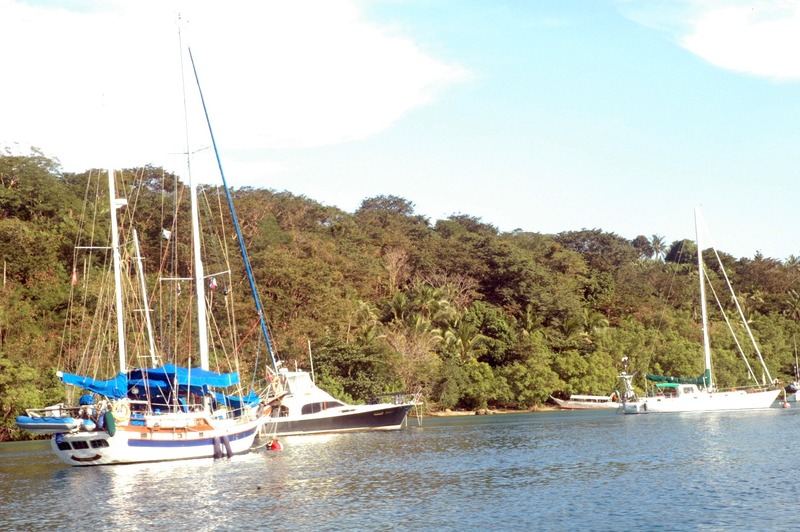 Most of the people staying in our resort were foreigners mostly from Holland and France. The sand was fine and the water was cool, bright and extremely clear and clean. I am a sucker for Galera once again and I vow to return in a month or two. The sunset from our shoreline, beauty isn't it??? And now, off to the first day of The Malasimbo Music Festival!!! More on that in my next post. I just have to say that it was SUPER AWESOME and I can't wait for next year!!! I missed you guys! How was your weekend? Was anyone else in the music fest as well??? welcome back to the metro and to blogosphere! I love this place , beautiful just like you! Beach parties... Aren't they the best?! 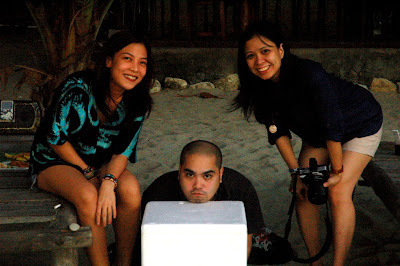 the last time i've been to galera was like 10 years ago.. haha! that beach looks amazing and far from the horror stories i've been hearing about overcrowdedness and dirt! can't wait to see your music fest post! sounds fun! A beautiful place! The pictures put me in the mood of a summer picnic--can't wait to hear more. 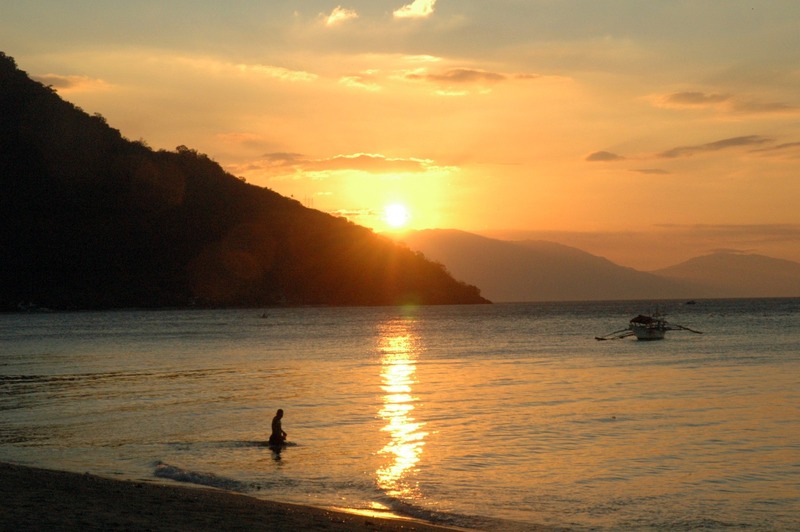 I've never been to Puerto Galera, how sad right? 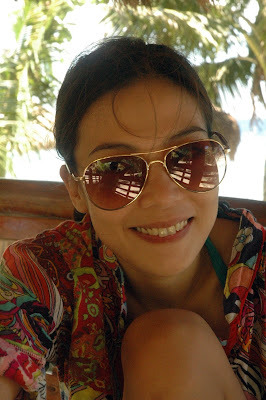 but anyway you look cute especially with your sunnies!!! yea, Thankz for your visited. hopefully I'm the lucky one. Great outfit! It looks so great there! beautiful place! glad to hear you are enjoying the festival! 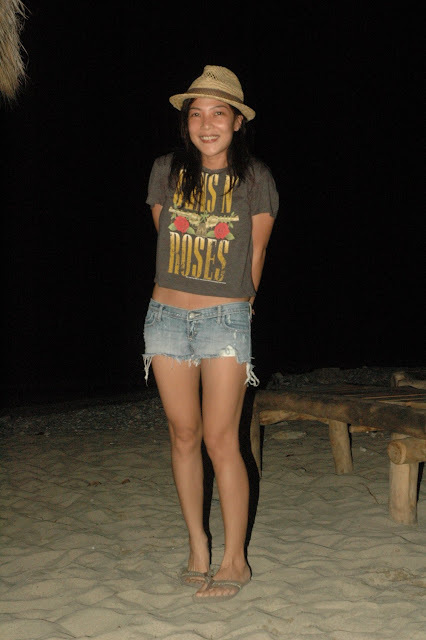 love the denim cutoffs and rock tee! Love your tees and very amazing place.. love it! Thanks for put my link on your blog. I love your look and your blog! that gorgeous beach!! go see my blog! kisses! I love your guns and roses shirt! The beach looks beautiful! And your t-shirt's great! Thankyou for your comment! Sorry for not reply before, I've been kind of busy :) Thanks for visit my blog :) I follow you, you have a nice blog!